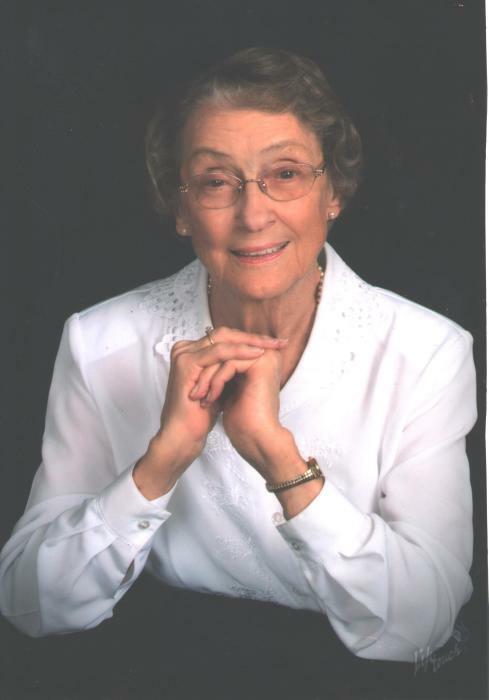 Loraine Maxine Smith, age 91 of Union, Ohio passed away Monday, January 28, 2019 at Miami Valley Hospital. She was retired from Montgomery County Board of Education. She was a member of Brush Creek Church of God in Tipp City, Ohio since 1946. She was preceded in death by her husband of almost 52 years, James Howard Smith in 1998, her parents, Russell (1980) and Mae (Clark) West (1982) as well as siblings, twin brother E. Max West (1977), Delphys Riley (1980) and Jewell Puckett Woods (2007). She is survived by her daughters, Brenda (Bob) Ison of Arcanum and Carolyn (David) Clawson of West Milton. Also surviving are grandchildren Jennifer Ison, Sheila (Ison) and John Fiedler, Jonathon and Theresa Yahle, Jill (Ison) and Matthew Fairburn and Timothy and Brooke Yahle, as well as step-grandsons, Jeremy and Arizona Clawson of Florida and David and Adrianne Clawson of Dayton. Also surviving are great-grandchildren Kyle and Whitney Fiedler, Ian, Isaac and Olivia Fairburn, Katie, Brooke, Destini and Ronnie St. Myers, Ashley, Riley and Tatianna Yahle, Thomas, Kattel, Mackenzie, David, and Triston Clawson. She is also survived by four sisters-in-law, Jeanne Smith of South Carolina, Margaret Porter and Virgie Armstrong of Brookville, Rita Smith of Huber Heights and special friend David Lambert as well as numerous nieces, nephews, cousins and many friends. Visitation will be Friday, February 1 from 4-7 PM with services at 1 PM Saturday February 2, 2019, all at Brush Creek Church of God, 6375 Kessler-Frederick Road, Tipp City with Pastor David Hixon officiating. Private burial will be at Arlington Cemetery, Brookville, Ohio at the convenience of the family. Arrangements are in care of Hale-Sarver Family Funeral Home of West Milton. In lieu of flowers, memorial contributions may be made to: Target Dayton Ministries, P.O. Box 4636 Dayton, OH 45401. Online memories may be left for the family at www.hale-sarver.com.